Designs by Lisa Somerville: Mixed Media Fun Times Three! Mixed Media Fun Times Three! 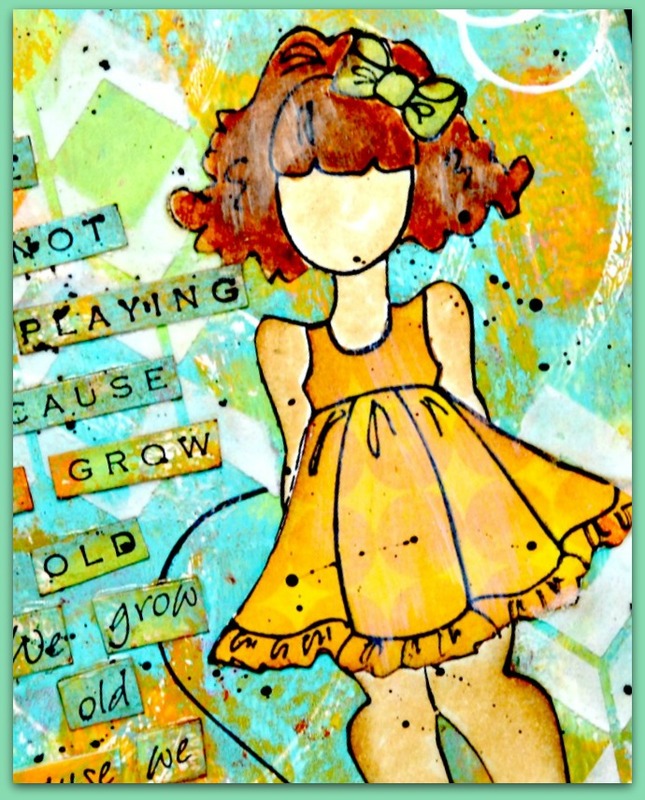 There's nothing like a little Gelli Plate fun to jump start your creativity! Using the Gelli Arts Plate, and DecoArt Americana Multi-Surface Satin Acrylic Paint in Coastal Waters, Citron Green and Orange Sherbet and a stencil from Just a Trace, I created three background panels. Next, I added some stamped images, more stencils, Gesso and Modeling Paste to created three cards from the monoprinted backgrounds. Love these cards, Lisa! Those backgrounds are fabulous and work so well with the images! Enjoy! 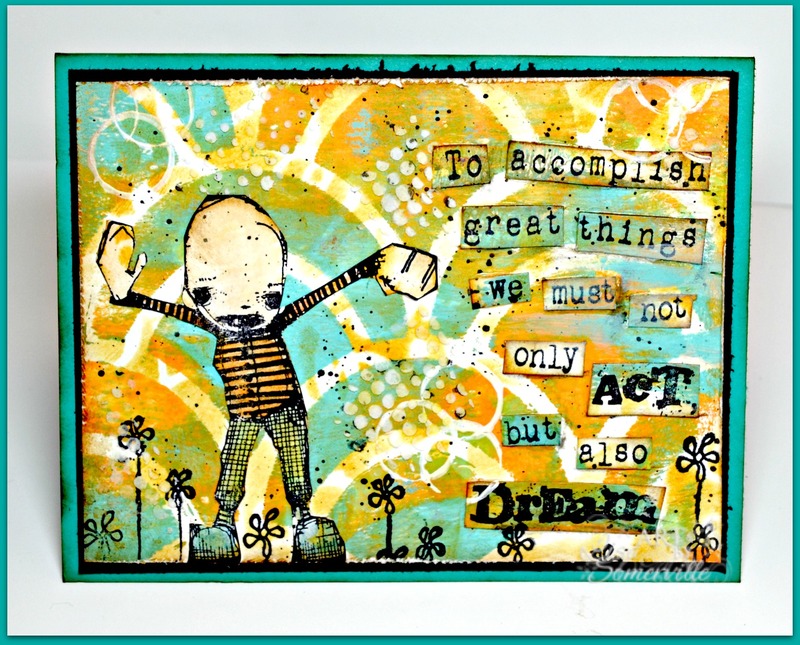 Love the Gelli Plated backgrounds you created Lisa - they look great behind your fun images! Wow for the backgrounds and wow for the cards. Enjoyed seeing everyone one of them. Looks you had a happy time getting paint on your fingers and gelli plate :) so happy to see you play along with MMCC this month. Absolutely amazing, Lisa! Your backgrounds are wonderful & I love all 3 cards! You've inspired me to use my Gelli plate! Amazing backgrounds on all your mixed media cards! I love all three cards especially the Stampotique cards - I'm a huge Stampotique fan too!! 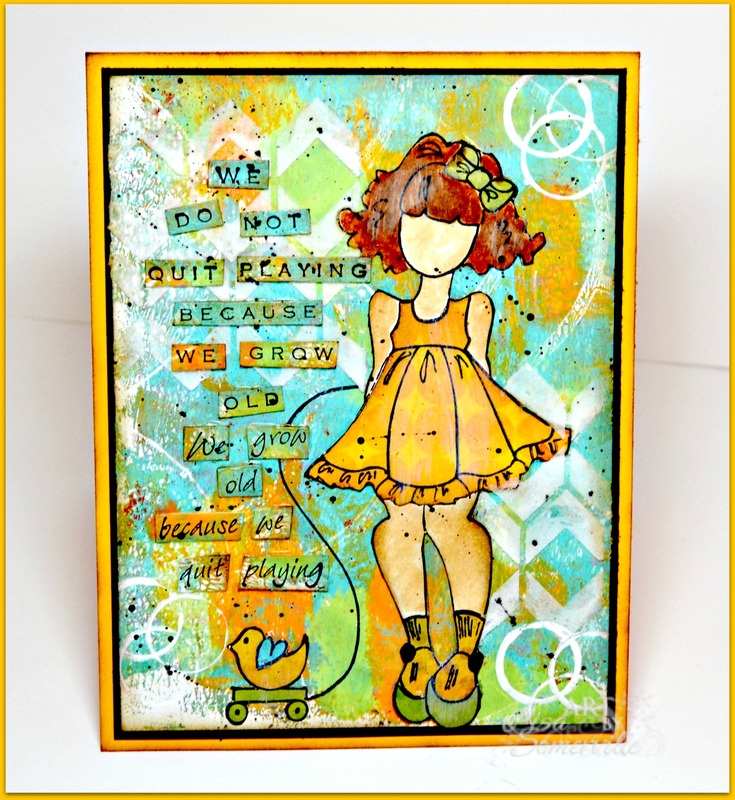 Thanks for joining us in this months Mixed Media Monthly Challenge "Stencils and Paste"!! Very cute card. Thanks for playing with us at The Mixed Media Monthly Challenge. Great backgrounds love the color combination on them and how perfect they look with those images. i love them all!! your stampotique cards are so much fun. and that gelli print background turned out great! Thank you so much for playing with the Mixed Media Monthly Challenge! Love 'em all! And I agree, those colors totally scream summer. It is amazing the amount of depth and interest you've achieved on your BGs. Thank you for joining us at MMCC #2 with your beautiful creation. Perfectly summer colour combinations Lisa - FABULOUS cards! 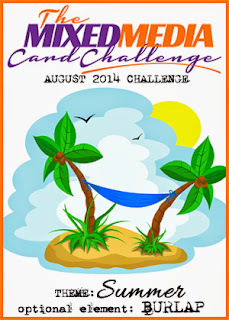 So glad you joined in the fun @ Mixed Media Card Challenge! Beautiful ! Thanks for joining us at Mixed Media Monthly Challenge! Fun cards, Lisa! I especially like the first one - love the sentiment in it and the background is awesome!